It is easy in this time of backsliding to forget how recent the liberalism being dialed back is. Paulson provides a superbly balanced approach. But if Tom Clancy is your thing, this is for you. 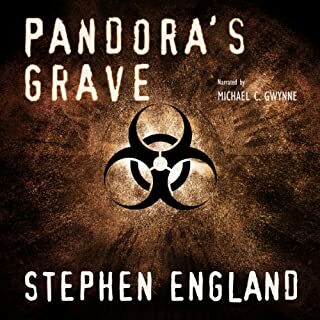 Lots of research packed into a twist filled dramatic plot, edge of the seat narration, and characters on all sides of the drama with believable and complex motivations. If Clancy is not quite your thing, you may find England somewhat better. If you hate Clancy for reasons that are not highly specific, probably best to look elsewhere. There’s a lot of very good information here. Sadly, while the author periodically holds back from explaining how misinformed her interviewees are, she never stops making her contempt obvious. Clearly, when they complain about the Department of Natural Resources, they’re a: misinformed, b: racist, or sometimes c: complaining about not seeing people like themselves on the boards. The possibility that there’s an actual substantive problem with the DNR is not considered. This isn’t to say that there aren’t cognitive and social issues that go into this stuff, but her endless calls for respect are pretty explicitly limited to procedural respect, to spending time with people. A better approach would include more of a sense of policy trade offs. Maybe they shouldn’t get what they want from the DNR (or from UW-Madison etc. ), but if you go into the trade offs and establish that they have the inferior side of the argument you can at least have some respect for them as people. Instead, she assumes that they’re wrong about everything. Sometimes she even checks. For example, she talks to people who feel like Walker listened to them more than Doyle did, and proves this wrong by counting the number of public appearances he made in the North, without having that listed in the claims she’s disproving. The book’s central thesis is important and well argued. It would be a lot richer and more valuable if it were more like a modern ethnography and less like a Victorian exploration of an exotic breed of savages. In particular, more time suggesting reasons they believe things that do not involve them being hoodwinked, less time speculating slander that is explicitly not based in her interviews. 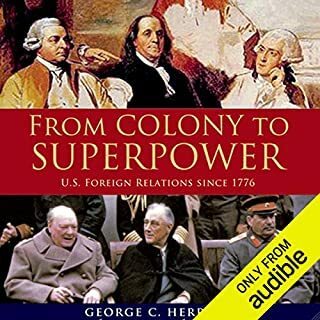 This prize-winning and critically acclaimed history uses foreign relations as the lens through which to tell the story of America's dramatic rise from 13 disparate colonies huddled along the Atlantic coast to the world's greatest superpower. More effort to say that decisions were good or bad than to describe them. The, as yet incomplete, series that this book is a part of is generally exemplary in giving equal space to the more and the less popular periods of American history; books pretty consistently cover thirty year periods. Herring has talked in interviews about how much he was thinking about Iraq when he wrote this book, and boy does it show. The first two and a half books of the Oxford history take America up to independence. These books receive no counterpart pages in this; "From Colony to Superpower" includes the superpower part, but not the colony. In general, events that can be used to talk about Iraq get a lot of space, which means that the first century and a bit he does cover goes by quickly. While the superlative volumes of the series at its best do include value judgments, this book repeatedly devotes three or even four sentences in close proximity to describing Herring's view on the correct policy (often in the form of deriding the intelligence or education of those who disagreed with him; it appears from this volume that no intelligent or moral people were on the wrong side of historical foreign policy debates, no hucksters and charlatans on the right side). Given the degree to which details are often smoothed over, this is not because he had space to spare. We are told that the Afghan war was important, for instance, in the context of deriding Bush for Iraq, but we receive no description of the importance of Afghanistan. The degree to which this position mirrored the Obama speeches at the time may just be coincidence, but, Wilson and Vietnam aside, it falls into a general pattern of Democrats being uniformly correct in their foreign policy positions. 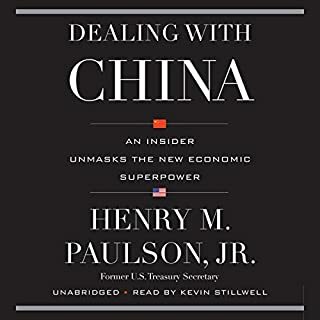 The decision not to intervene more in the Chinese Civil War, for instance, is not a trade off that later saw America pay a high price in Korea (to say nothing of the price paid by China in the Great Leap Forward and Cultural Revolution). Rather, this was a struggle between the noble Truman and villainous and ignorant Republicans. To put it another way, the language used is that appropriate to the OUP, but the substance is that of the Victorian children's histories parodied in 1066 And All That. The Long Game is the candid, behind-the-scenes memoir of a man famous for his discretion. He tells how his mother helped him beat polio by leading him through long, aching exercises every day for two years. He explains how his father taught him the importance of standing up to bullies, even if it meant taking the occasional punch. And he reveals what he really thinks about the rivalry between the Senate and the House. 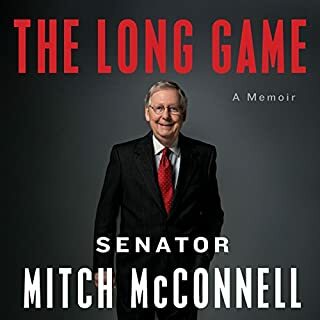 The book is an even handed, readable and enjoyable romp through the last thirty, but particularly the last few, years of Senate history, accompanied by a large dose of all American personal story. I'd particularly recommend this book to students as it provides an excellent framework from which to judge future political claims. Hilarious introduction, much less impressive body. 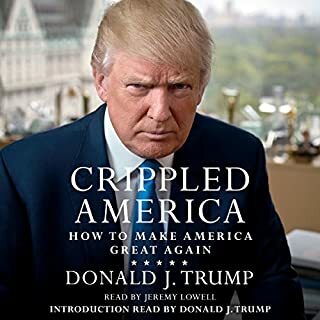 Some gems (vets come back and discover that somebody(singular) has taken all the jobs; clearly an industrious villain), but mostly a multi hour version of a Trump speech. Liberals love to hate Ted Cruz. The outspoken Texas Senator has a knack for getting under their skin. 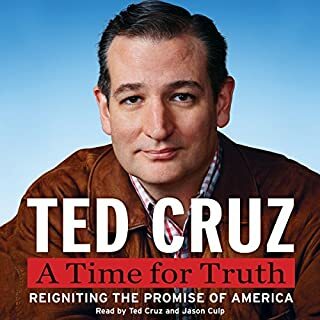 His quotable remarks - and even more, his principled stands on numerous national issues - have made him a political lightning rod and the most Googled man in Washington. On the plus side, that means that John Roberts, Pat Roberts, Bush 41, Josh Bolten, and Paul Clement get supported. On the downside, it means plenty of cattiness about unnamed Republicans (which attacks the party without the accountability you get with names), and unending complaints about McConnell. There doesn't appear to be principle involved in either the criticism or the praise except for personally helping Cruz or not. Paul is principled when he agreed with Cruz, awful when he disagreed. There are some good jokes, but there's nothing solid and worthwhile here. Thoughtful, but with much more of a focus on defending Nietszche from attacks than actually exploring his thought. We learn speculative theories, but relatively little about specific works. This book is filled with fascinating nuggets of data, insights, and explanations for our world. I sometimes felt like the selection of anecdote was a little manipulative. Putnam admits that some examples were chosen that were particularly vivid to make the lesson clearer. 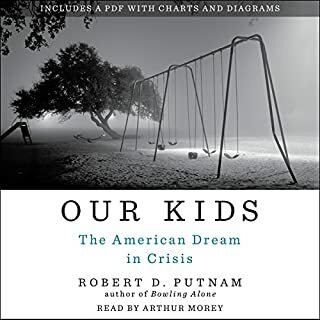 When talking about the macro data though, Putnam seems fair, modest, creative, and insightful. The policy recommendations feature unsurprisingly less modest suggestions about the scope of our knowledge, but again he's open about this. An excellent read either in conjunction with Charles Murray's Coming Apart or for those who find lengthy data analysis a struggle to read. 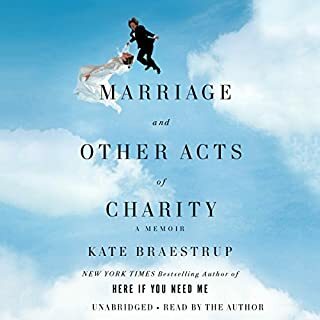 Kate Braestrup has been married and widowed, betrayed and betrothed, her personal spirituality constantly evolving along the way. How do God and love figure in our everyday lives and bonds with others? In Marriage and Other Acts of Charity she tackles these big questions with stories from her own relationships--romantic and familial, platonic and professional--much as Anne Lamott weaves her spirituality through her tales of parenthood. 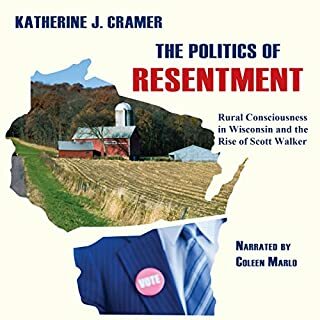 The author is a Unitarian Universalist and there are many references to her outsider status, some explicit, some subtle. Aware that her audience is diverse, though, the theology she expounds is modest and avoids controversy. 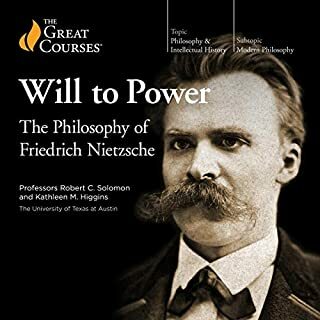 As an argumentative theology major myself, I have grumbled while listening to at least some passages of every theological audiobook I own (around a dozen). Insight after insight is cleverly delivered without the overstatement that it so hard to avoid. There is one three sentence passage that explains UU theology in a manner that sounds mildly missionary ("God is love. That's it.... Really.) and gay marriage is briefly addressed in a non-polemic manner, but the book would make an excellent text for people looking to return to orthodoxy, or gift from someone hoping the recipient might enjoy an appealing and gentle advertisement for the life of faith that would avoid teaching heresy. Catholics and high church Protestants may find it particularly surprisingly good, but no denomination will find it offensive on issues that the denomination is in the mainstream on, with the exception of the above caveats and the author's position as a female chaplain, a position Catholics will be comfortable with (no mention is made of communion or other sacraments Catholic female chaplains, rather than priests, could not, in extremis, officiate at), and most, albeit not all, Protestants should have even less issue. The question is only implicit, albeit obvious; again Braestrup avoids *advocating* anything that could be felt to be heretical.